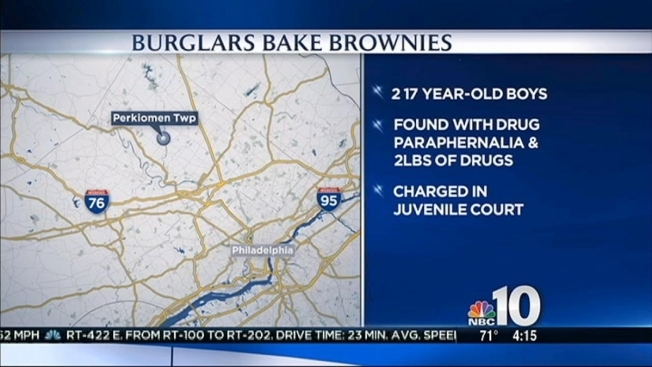 Police say two 17-year-old boys have been charged with breaking into a Pennsylvania home and baking drug-laced brownies. Police say the burglary happened late July 22 in Perkiomen Township, though the department only recently publicized it. Police say the boys were found with drug paraphernalia and more than 2 pounds of the unspecified drug used to make the brownies. The boys have been charged in Montgomery County Juvenile Court. The township is in the Philadelphia suburbs, northwest of the city.